Holy Ranger Cassette Photos, and a Vintage shot of Martin Jack Rosenblum. This is the cover artwork for the rare cassette album completed for the 1989 HOG Rally Season. It presented the program of songs and poetry performed at Rallys that year. The year began with an all-admission concert at Ocean Center, Daytona, which launched the tour season and then concerts were given at major HOG Rallys at Woodstock, Phoenix, Lake of the Ozarks and Sturgis. By the end of the year, the album was no longer available. This is the cover artwork for the rare, original release cassette version of the album. There was a CD as well, released at a Harley-Davidson sponsored concert on 20 October 1990 called "Blues Seance." This concert was sold-out and therefore the following year another concert was given, called "Blues Seance 2." Shortly thereafter this album was picked up by Flying Fish Records and then transferred to Rounder Records. 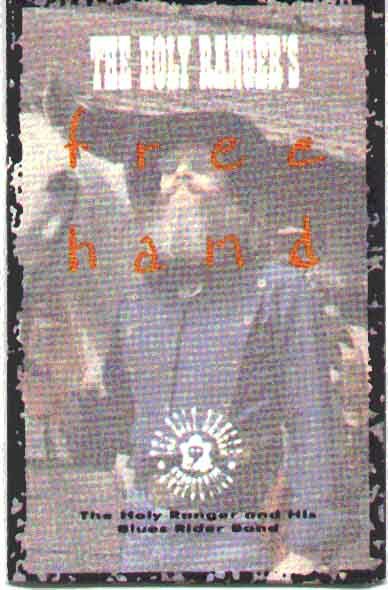 Go to the holyranger.com Link at this Site to obtain the 12th Anniversary Edition of THE HOLY RANGER'S FREE HAND, released in the summer of 2002. You can read the new liner notes for this Anniversary Edition at the FREE HAND Link at this Site. The original release on cassette and CD is exceptionally rare, and can be differentiated from the Rounder version by virtue of the Ranger International Productions label and, on the CD disk itself, a "Music Taking Poetry Too Far" imprint. Also, the artwork for the originals is much more extensive. 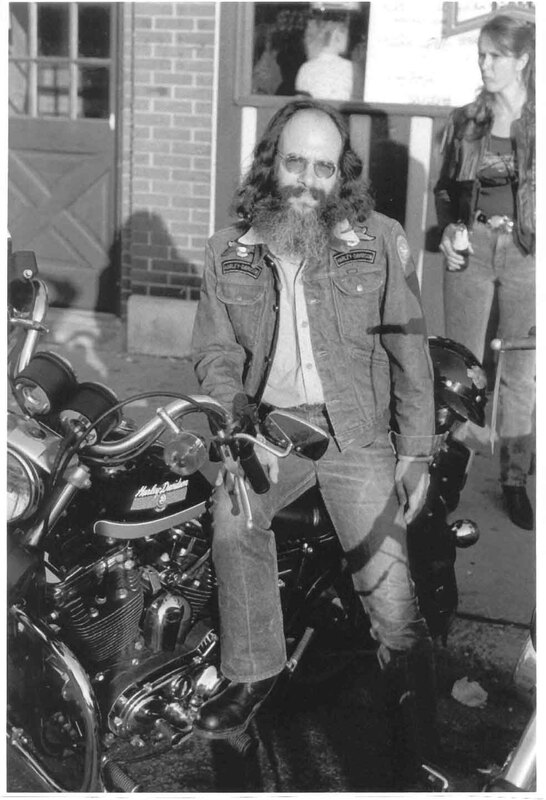 This was taken of Martin Jack as he went to his 1987 30th Anniversary Sportster to get his harmonicas out of the saddlebag before a bar gig in Milwaukee. 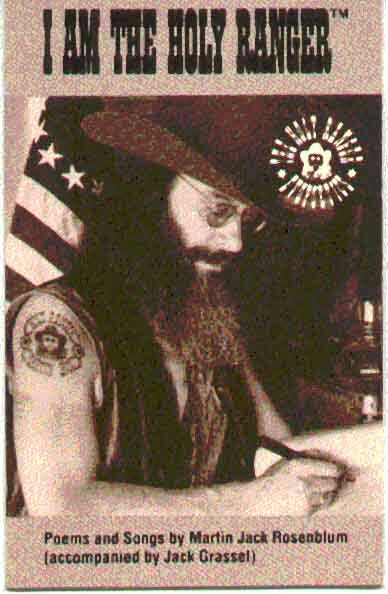 The gig was a dry run for the 1989 HOG concert season, in the spring before the Daytona debut of the book, The Holy Ranger: Harley-Davidson Poems and the cassette, I Am The Holy Ranger.